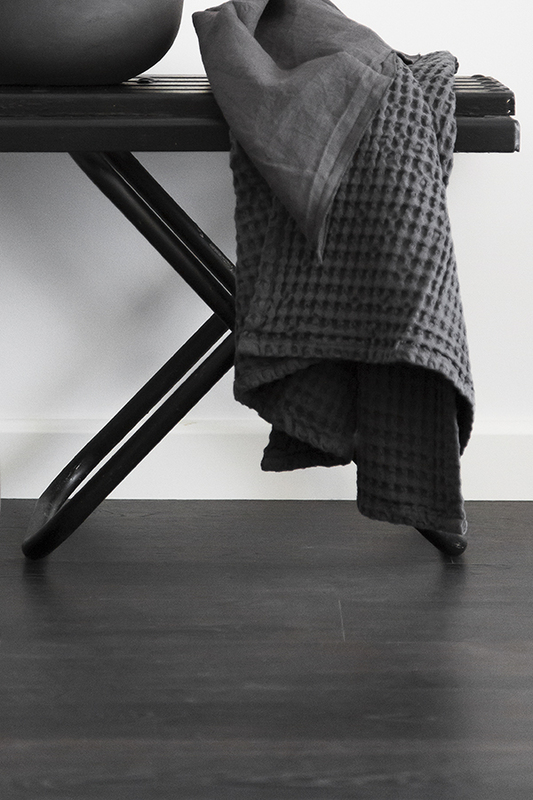 For every photo shoot we are always on the look for different props to complement and fit the atmosphere we have in mind, and recently we got the opportunity to work with Blomus. When working for the Ambiente fair earlier this year I visited several stands and we filmed the different Trend area's where some of Blomus new home accessories already caught my eye. 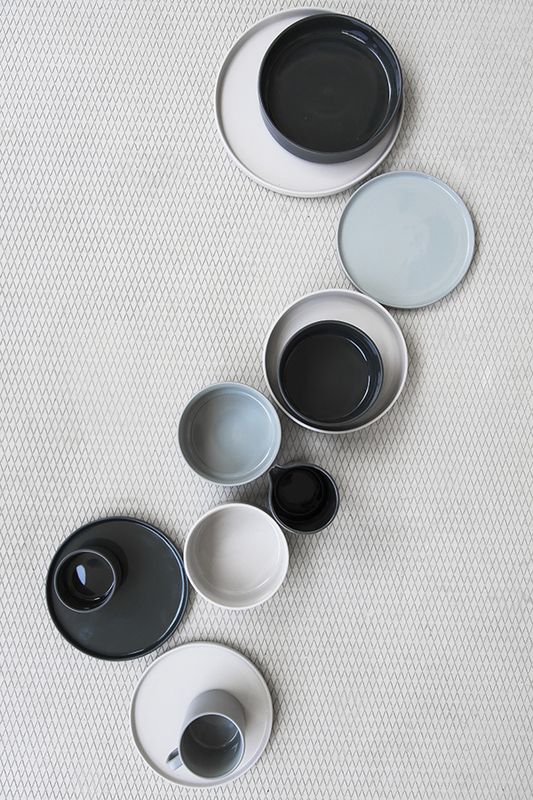 Next to using the brand's planters in our last shoot, we also got to photograph their new dinnerware collection MIO. 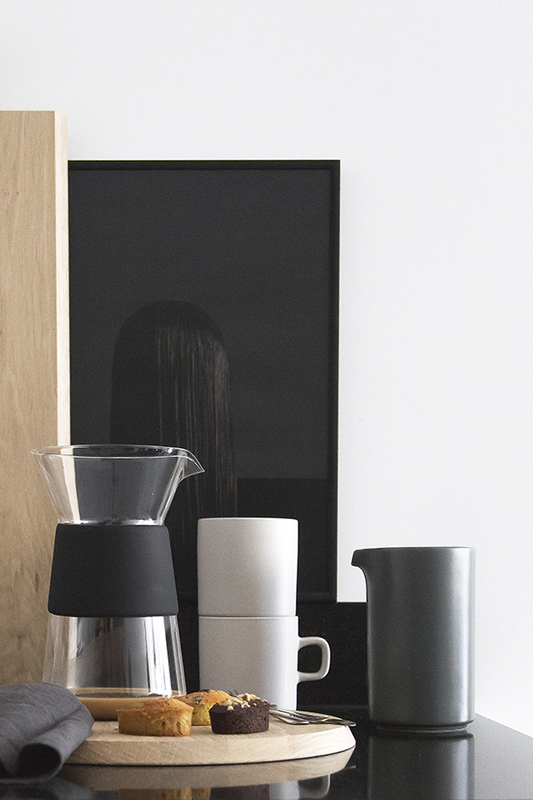 The MIO collection, designed by Nina Thöming of Flöz Design, consists of plates, bowls, mugs and pitchers in three different powder shade colours. Next to the beautiful colours, Mirage Grey, Moonbeam white and Agave Green which all mix and match perfectly. 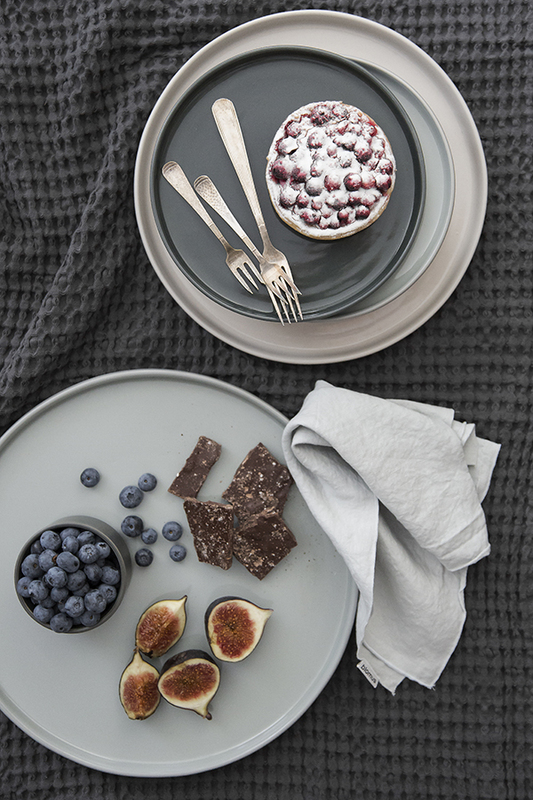 The dinnerware comes in different sizes and is also stackable, giving you more space in your cupboard or being creative with on your diner table. What I really love is the matt exterior surfaces in combination with the shiny interior glazing. 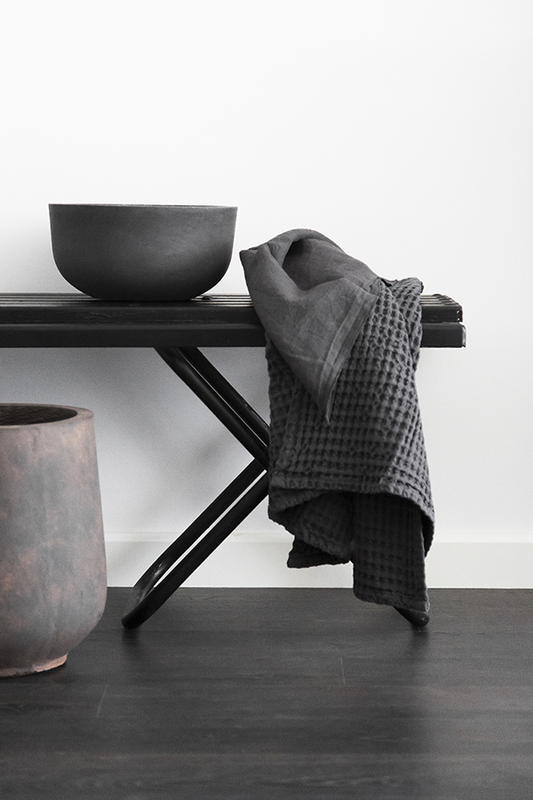 We immediately fell in love with the grey PLANTA planters and I especially loved the bigger black-brown versions which are perfect for planting large houseplants or small trees. They can be used both inside and outside as they are frost-resistant and weatherproof which I love because I tend to change and use pots and plants both indoors and outdoors depending on my mood or needs. Blomus is a market leader in the field of interior design and durable accessories since their start in 1961, and derives from the German tradition of exceptionally good quality and excellent craftsmanship. At Ambiente I already saw some of their extensive collection of brand new basic items, including pottery, smoked cork, linen, concrete and wood, all materials I really love. 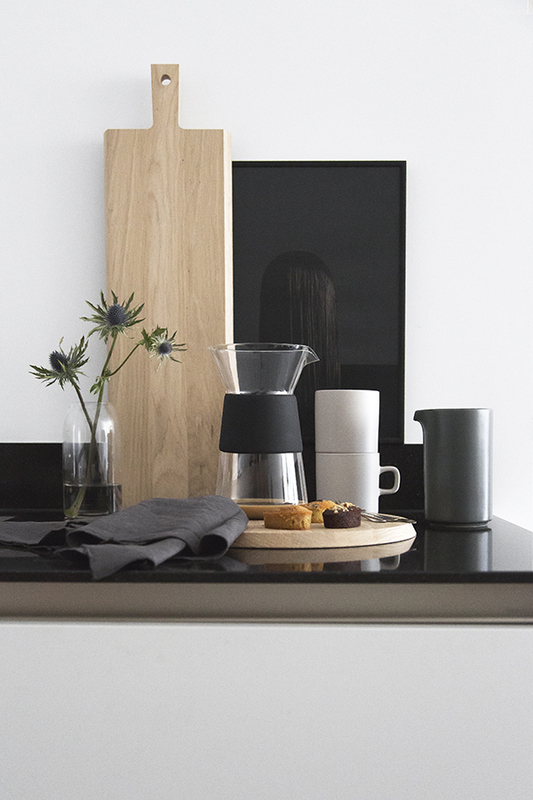 This new collection shows their ambition to develop and keeping the brand relevant and ready for the future while sticking to their original Blomus DNA. 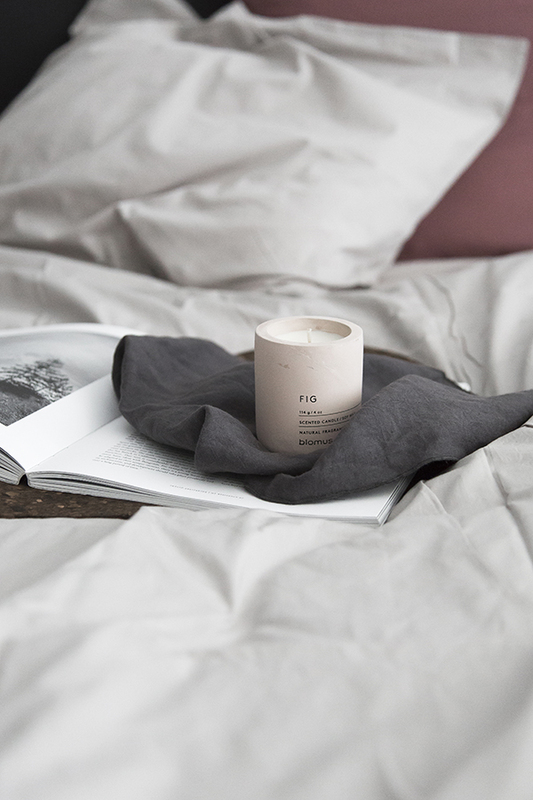 Thank you Paper collective for the posters and Aiayu for the bed covers.